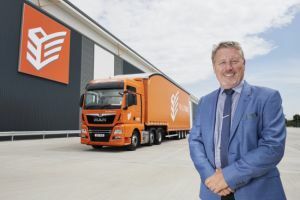 Palletforce has reported a 45% increase in European volumes after it extended its coverage from eight to 24 countries in the past 12 months and launched a global service focusing on Asia earlier this year. European development director Mark Tabor (pictured) has spearheaded improvements in tracking consignments, proof of delivery and service reporting, resulting in market-leading service consistency and consignment visibility. The pallet network has also introduced a ‘special services’ department that members can contact if they wish to move freight, either full or partial loads, to or from a country not currently covered. Mark Tabor said: “We’ve seen volumes in markets like Spain and Italy double over the last 12 months and we’ve been working hard to enhance other services. Tariffs to Germany are now extremely competitive, we’ve made delivery zone changes, reduced rates and we expect high growth in this key market.